In a relational database in a one-to-one relationship, a row in table X can have no more than one matching row in table Y, and vice versa. 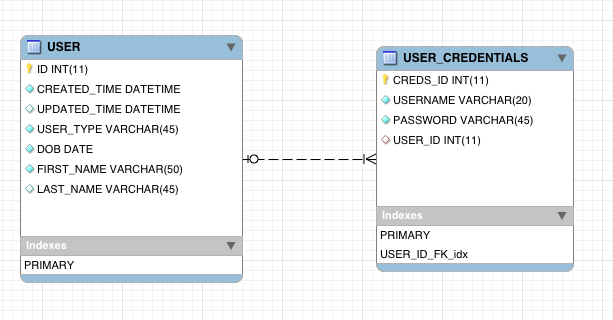 X one-to-one relationship is created if both of the related columns are primary keys or have unique constraints. In Object oriented programming, one instance of entity exactly refers to one instance of another entity in the relation called one-to-one relation. @JoinColumn Specifies a column for joining an entity association or element collection. The annotation MARKDOWN_HASHf6fe5d6d260954e3d74370aaeb356271MARKDOWN_HASH indicates that this entity is the owner of the relationship. That is the corresponding table has a column with a foreign key to the referenced table.